This is the final group of forwards I will evaluate. This set of grades will actually include reviews of the three players who were traded at the deadline, plus a pair of centers who are still with the team. Adam sort of got a raw deal this season. After a scorching hot start, he ended up in the doghouse and eventually was sent down to Rochester after the All-Star break. His demotion was permanent as he is still playing on the farm. I loved his play with Thomas Vanek and Jason Pominville and I contend that line should probably have stayed together through the brief slump that eventually led to Adam being sent to Rochester. Adam did struggle some along the way this year and may have needed more seasoning. However, I think he was handled poorly and I question if his confidence has been shaken by the way Lindy Ruff decided to ship him away. All things considered, Szczechura proved he is a capable depth forward, perfect for the AHL and spot call-up duty. Just one game short of ten, I felt comfortable giving Szczechura a grade for his play. He was called up in the middle of Buffalo’s injury crunch and actually outperformed some regulars. He had a few very nice games at center and proved that he is more than worthy of an early call up in the future. Like Derek Whitmore, Szczechura doesn’t fill a fourth line role all that well but has that offensive touch that makes him intriguing to recall. Again, if the Sabres are in need of a bit more skill, Szczechura is likely to get a call. Thanks for the first round pick, Dave! 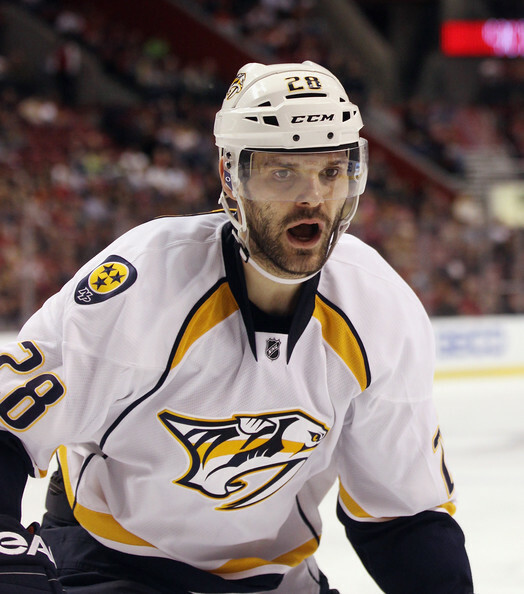 Gaustad gets an A for a few reasons. His defensive zone contributions and faceoff prowess was an extremely valuable part of Buffalo’s success. He did have a tough bit of luck after not chasing down Milan Lucic, but he showed he can still play with grit while being a valuable part of the team concept. The other reason I give him an A is because he garnered a first round pick at the deadline, giving the Sabres a valuable piece in exchange for a player who could likely be with another team next year. While highly touted, Kassian never seemed to get on the tracks many expected him to be on. So many compare him to the Cam Neely or Milan Lucic mold, but the physical side of his game comes and goes far too often. He showed some scoring ability, but wasn’t consistent in that regard. 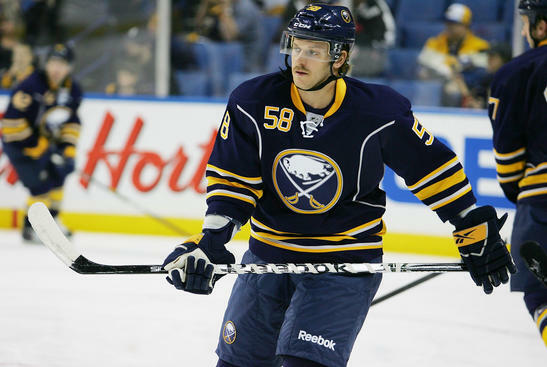 He should serve the Canucks well, but it seemed as if he just wasn’t going to pan out in Buffalo as many expected. He did bring a pretty handsome return, which is big for the future of the team. Gragnani not only became a rather useless piece of the puzzle in his final days and weeks, it seemed as if his attitude was a big issue. Luckily, he was replaced with Alexander Sulzer – a massive upgrade. Gragnani was not able to replicate the success he had in last year’s playoffs and became a non-physical pylon on the ice. His contributions on the power play were minimal, especially compared to how much of a liability he was defensively.